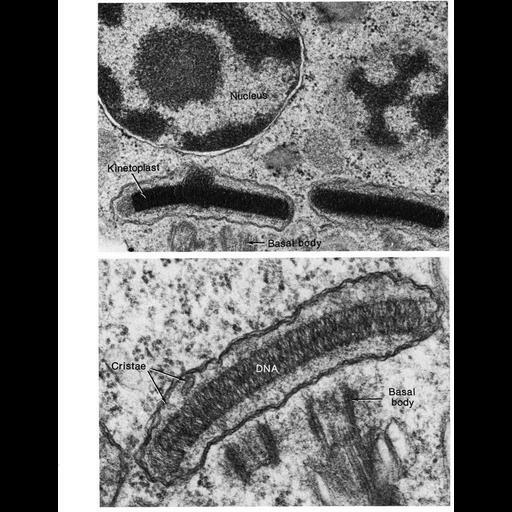 Figure 230 from Chapter 7 (Mitochondria) of 'The Cell, 2nd Ed.' by Don W. Fawcett M.D. Kinetoplasts are DNA-rich organelles often found near the basal bodies of the flagellum in protozoans such as the trypanosome (shown here in both upper and lower panels). Images by Winston Anderson. A PDF copy of the accompanying chapter is available on the ASCB’s BioEDUCATE website.